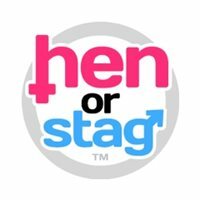 All guys are different, so let’s take a look at a stag do to suit all men! If your best mate happens to talk about little else from score lines to transfer rumours, indulging him in a football themed stag weekend will be the best way to please him. Premier league football matches take place most weekends from September to May, so it should be relatively easy to book a weekend away to see your friends favourite team. If the stag is a big Rugby fan, you can equally avail of the opportunity to see some Six Nation’s Rugby in the spring. Those planning a weekend to Dublin, Cardiff, Glasgow or London will be able to easily fit in a rugby match to get the party started fashionably early! Not all men want a “piss up” or a football match, as others are fans of the finer things in life. With that said, taking a whiskey tasting tour can be a great way to get the party started. The Irish Whiskey Museum in Dublin is a great place to visit if you’re having a stag do in Ireland’s capital city, as the highly interactive and fun tours will give you and your group the chance to make your own fine blend. What’s more, you’ll also get to sample some in-house craft beers to cap off a great afternoon in the city. Another luxurious and less explored activity for a stag do is to enjoy a day of Spa treatments! That’s right, massages aren’t just for girls, with numerous stellar spas offering the chance for your group to relieve aches and pains and switch off from the world for a while. If your pal happens to be groomed to perfection, going as a group to the sauna and getting massages will be a dream come true for him. Plus, you’re bodies and minds will thank you the following morning! If your main man likes to roll the dice, the best way to please a gambler on his stag do is by organising a day out to see some good old fashioned horse racing! Get suited and booted like Tommy Selby and the boys from Peaky Blinders, and head out for a day at the races. 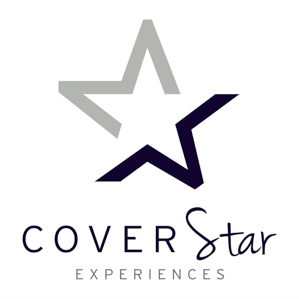 The are a few choice venues that are worthy of a stellar stag party, both found in the UK and Ireland. If you’re planning a stag in the North of Ireland, the Down Royal Races are worth a visit. Or if you are having a stag in Dublin, Fairyhouse Racecourse in nearby Meath is well worth the trip. Even if you’re celebrating in the UK, the Cheltenham Races are renowned for amazing racing. The gambling doesn’t necessarily have to stop there though, as you can also head to the Casino night at the tables. Grosvenor Casinos in London have multiple venues found throughout the city, so if your stag weekend falls in the capital city of England, a Grosvenor Casino is never too far away. For those celebrating in Dublin, the Sporting Emporium is the place to be, with private card booths in stunning surroundings that will make you and your mates feel like James Bond. For party boys, nightclubs are non-negotiable. You will be visiting one, or there will be some raised voices and scathing statements! There’s no excuse for an organiser either, as all the top stag do destinations have amazing nightlife. For a stag in Ireland, one recommendation would be Taaffes Castle in Carlingford. The harbour town of Carlingford is one of Ireland’s most popular spots, with a highly regarded nightlife scene that will satisfy the stag. If it’s Dublin you’re heading to however, then look no further than The Wright Venue. This club is the largest in Ireland, with multiple levels of cool bars and private booths to chill out in, as well as a rooftop terrace to escape to for some air, boasting a terrific view of the city. So there you have it! The stag do for every type of stag. Organise a weekend that best suits your best mate.